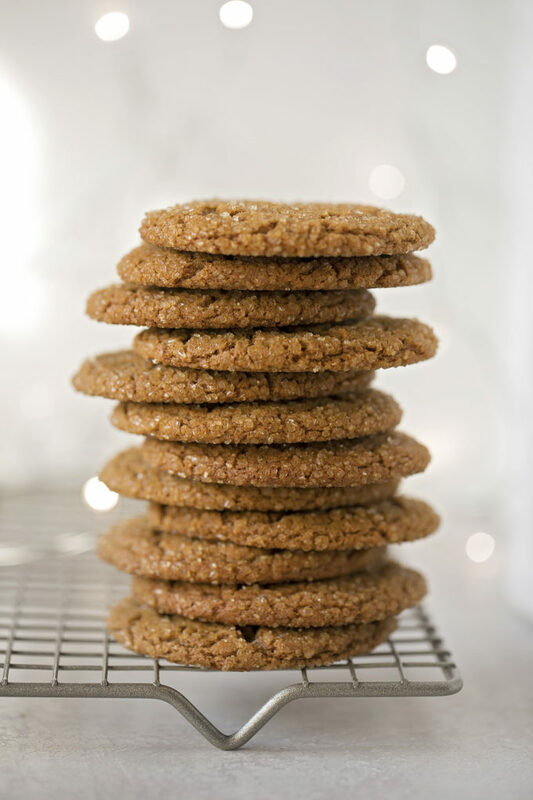 Thin and crisp sparkling ginger molasses cookies rolled in chunky sugar. 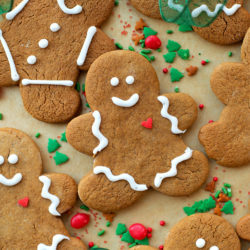 These full-flavored cookies are a holiday favorite! 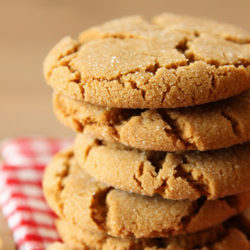 I have a weakness for ginger cookies. My mom made them for the holidays and they were always one of my favorites. I played around with her original recipe a bit to make this crispy, dark and robust version. I swapped some of the granulated sugar for dark brown sugar, used butter instead of shortening, added a touch more flour, and upped the ginger. 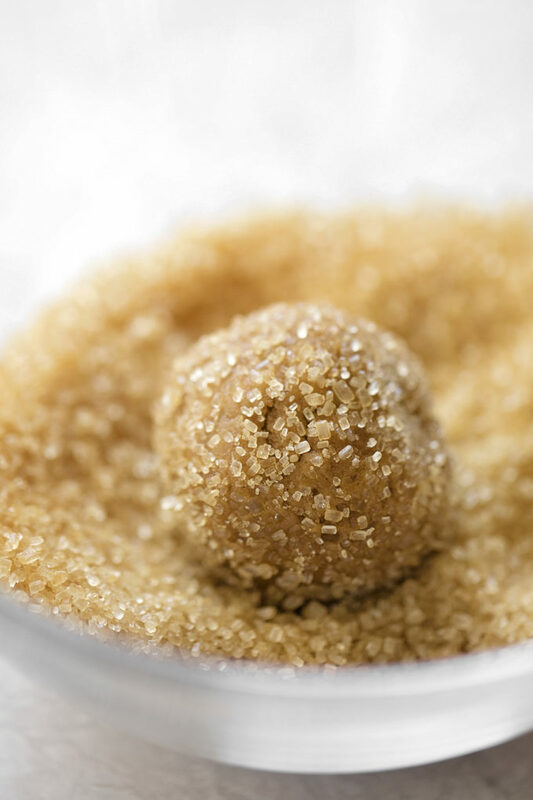 Instead of rolling the balls of dough in granulated sugar I opted for raw turbinado sugar. It’s a slightly chunkier version of brown sugar. 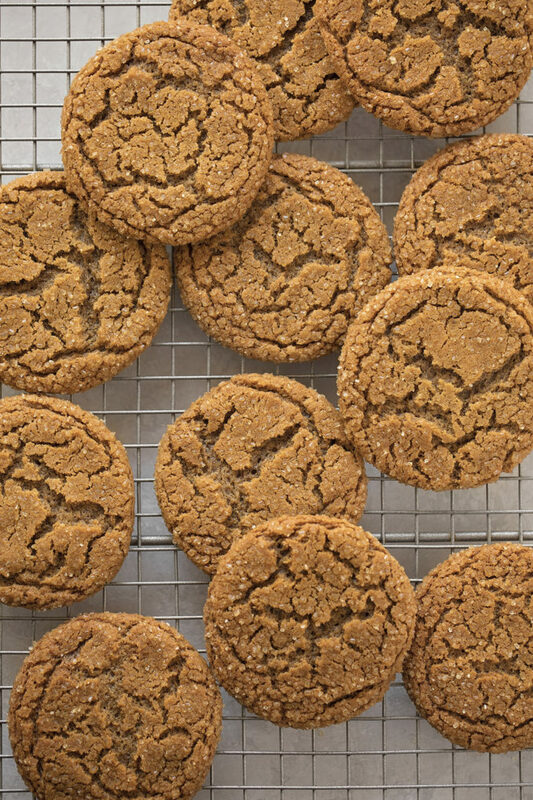 Its subtle hint of molasses perfectly compliments the robust flavors in these cookies. To start, you’ll want to make the dough in the bowl of a stand mixer or a large mixing bowl with a hand mixer. 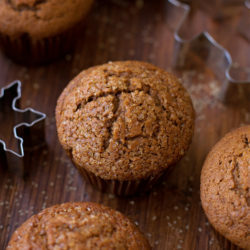 It should be relatively soft and sticky (remember, there’s dark brown sugar, soft butter AND molasses in there). You do not need to chill the dough for these cookies, however, you can if you prefer to prep a few weeks in advance. Scoop balls of dough and roll in sugar. Place on a parchment lined plate or quarter sheet pan and freeze for 30 minutes. Write the name of the recipe, oven temperature, bake time on a gallon ziploc bag. Place chilled portions into the bag, squeeze all excess air out. Remove from the freezer and let stand at room temperature for 20 minutes before baking. Roll the dough in turbinado sugar. Make sure it’s covering the entire outer surface, no gaps. Place onto a lined baking sheet and bake for 12-14 minutes. 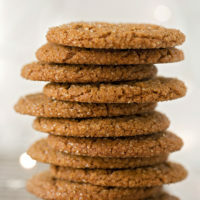 This may seem like a long time, but in order to get thin, crispy cookies, they need a bit longer to dry out. Let the cookies rest on the sheets for about 3 minutes before transferring them to a wire rack to cool completely. This will help the cookies set and become slightly less fragile. 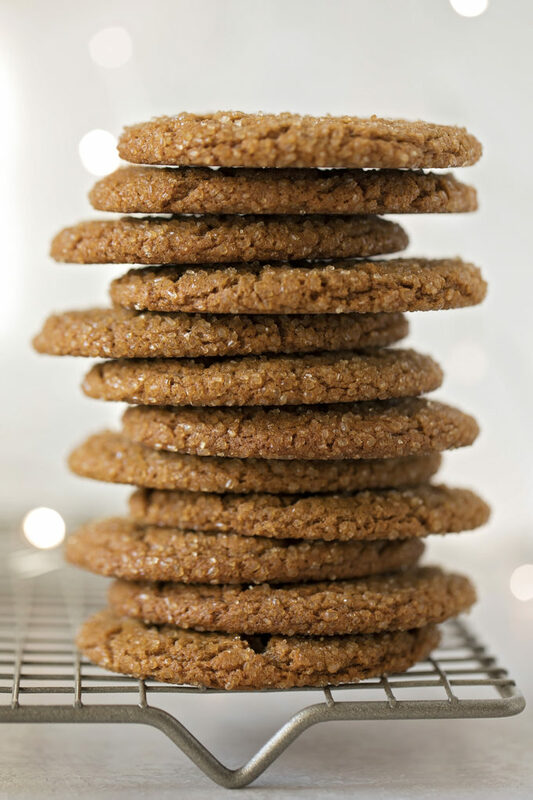 Once the cookies are completely cool, you can stack them up and store them or use them for holiday cookie trays. They should be fairly sturdy. 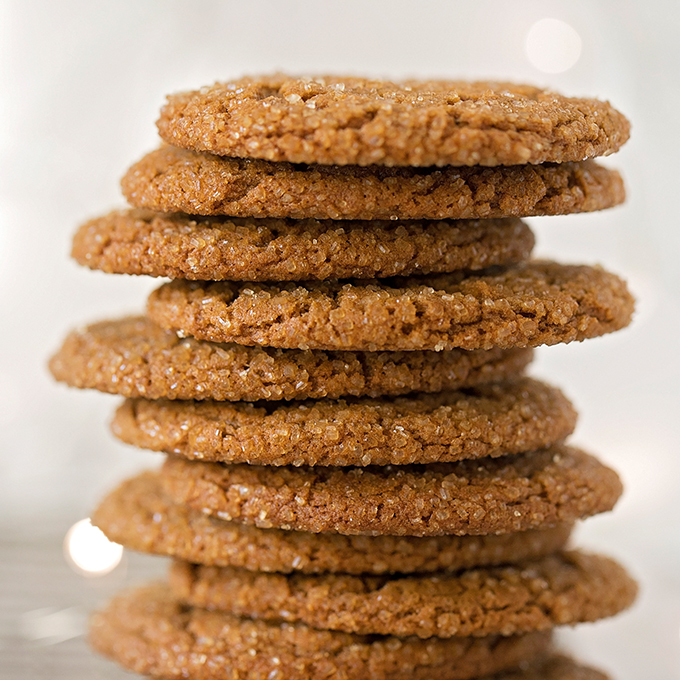 These sparkling ginger molasses cookies will be the star of your holiday celebrations. They’re eye-catching, addictive, and loved by all! Preheat oven to 350 degrees. Line a baking sheet with parchment paper or silicone baking mats, set aside. In the bowl of a stand mixer or a large mixing bowl with a hand mixer, beat cream the butter on medium speed for 1 minute. Add the sugars and molasses, beat on medium speed for 2 minutes, scraping the sides of the bowl as needed. Add egg and mix on low until combined. In a medium size mixing bowl, whisk together the flour, baking soda, salt, ginger, and cinnamon. With mixing speed on low, gradually add to the wet ingredients, mixing until no streaks remain. 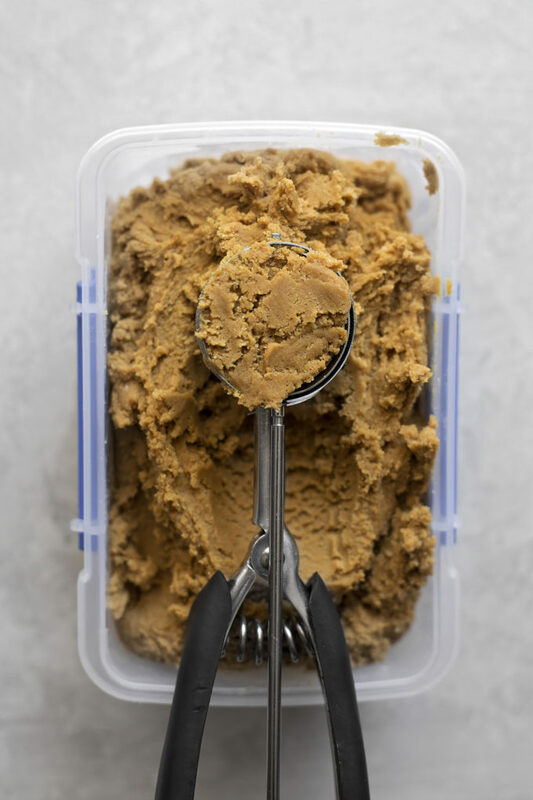 Using a standard size cookie scoop, form into balls. 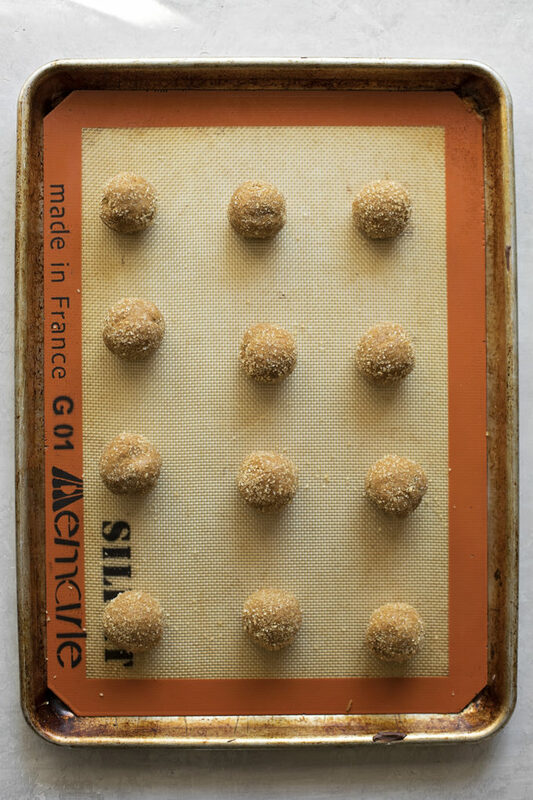 Roll each ball in sugar, then place onto the prepared baking sheet. Bake for 12-14 minutes or until crisp. Cookies will look cracked, this is normal. Remove from oven and allow to cool on the sheet for 3 minutes before transferring to a wire rack to cool completely.